Founded in 1999, Felix Compounds is a certified ISO 9001 company specialized in manufacturing compounds such as thermoplastic rubber (TPR/TR) based on SBS (Kraton D type), thermoplastic elastomer (TPE) based on SEBS, SEEPS (Kraton G type), thermoplastic olefin (TPO), mineral-filled thermoplastics (talc, calcium carbonate [CaCO3]) and thermoplastics reinforced with glass fibre or mica, or special compounds with graphite, barium sulfate and more. 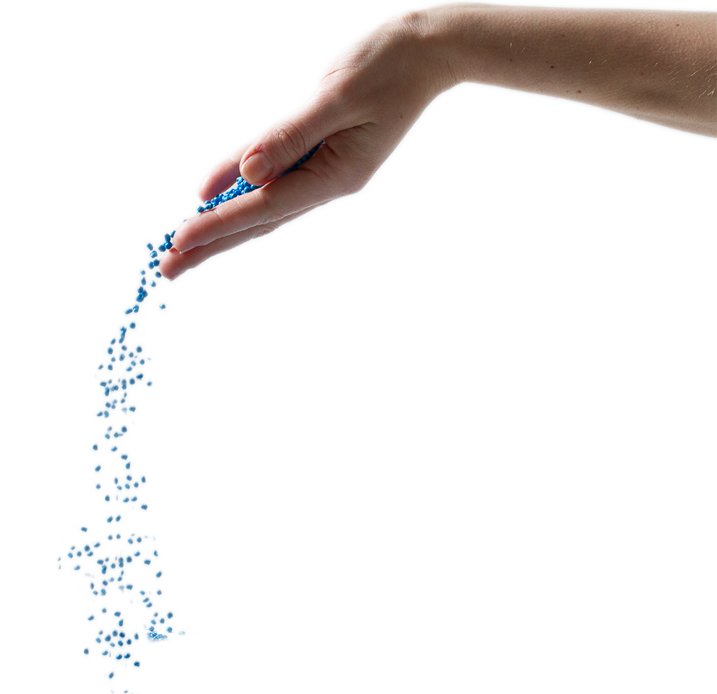 Felix Compounds also offers subcontracting compound services. Regardless of the quantity, we provide you with tailored and effective service and technical support. Our thermoplastic elastomers can be coextruded or overmolded on polypropylene (PP), polyethylene (PE), ABS, polystyrene (PS), nylon, and TPU. Several trademarked products can be replaced by our TPE, TPR (TR) or TPO elastomers, such as VistaFlex, Santoprene, Vyram, Synprene, OnFlex-S, Versaflex, Dynaflex, Garaflex, Ultralex, Tekbond, Sarlink, Telcar, Monprene, Thermolast, TufPrene, etc. TPEs can be an interesting alternative to replace vulcanized thermoplastic TPV and polyvinyl chloride PVC. On various levels, TPE has proven to be far superior to TPV and PVC. Our TPR (TR), TPE, TPO elastomers can be easily coloured, do not involve drying, and their use does not require any special equipment or mounting. Felix Compounds is a leader in the synthetic turf industry, for which we produce ultra-high performance infill pellets that provide durability, UV resistance, comfort and optimal shape. 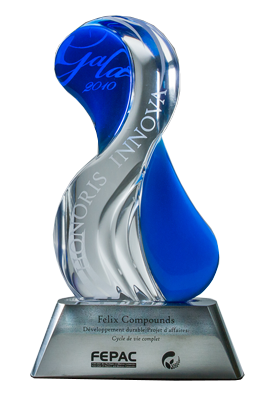 Felix Compounds is committed to sustainable development. This certification ensures appropriate monitoring and controlling of human resources, involvement within the community, and the environmental aspect. The life cycle analysis (LCA) of the products is available to customers concerned about their ecological footprint.